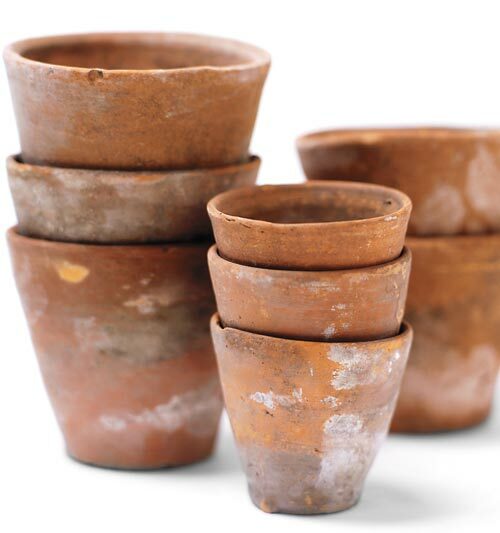 Terracotta pottery is the uber material for healthy plants. 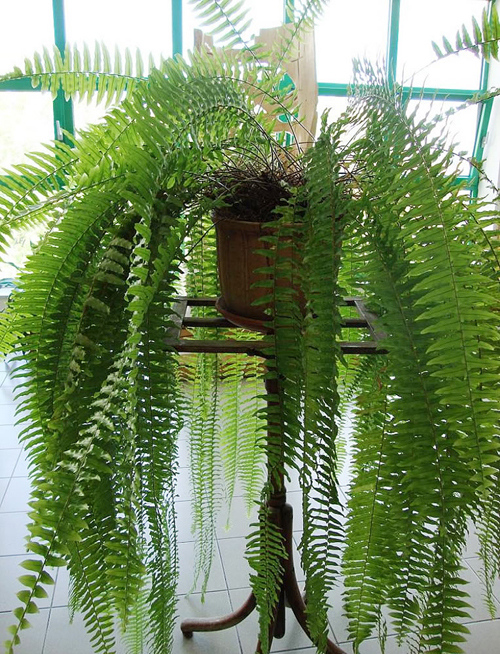 They keep the soil moist, insulate plant roots and breathe because they are porous clay. Unfortunately that means that when you water for fertilize those containers, you will have the white lines that start to show up on the outside. It is the calcium, minerals & salts from fertilizers and water that become trapped. When the moisture evaporates these salts are left behind. 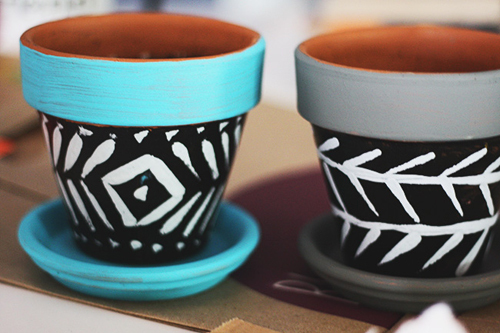 Many people like this look and even try to turn new clay flowerpots into aged pot by applying product to the outside of the pots to get this look. But, for those who don't here are a few tips to help get residues off. 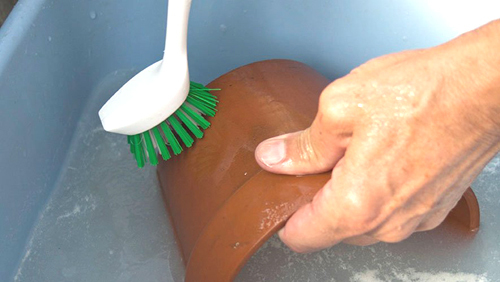 The best way to start cleaning terracotta pottery is to scrub the outside and try to loosen as much dirt as possible. Use a dish scrubber, a textured sponge or nail brush. Once the planter looks as clean as you can get it - it is time for a bath. 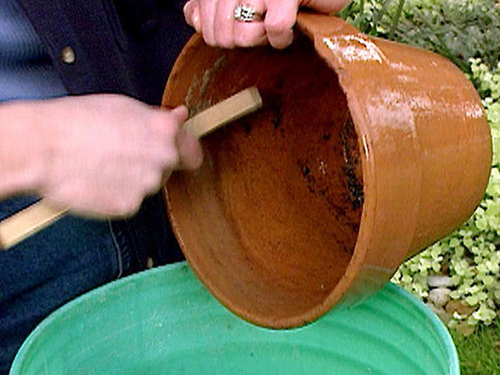 Submerge the pot in a solution of water and vinegar. 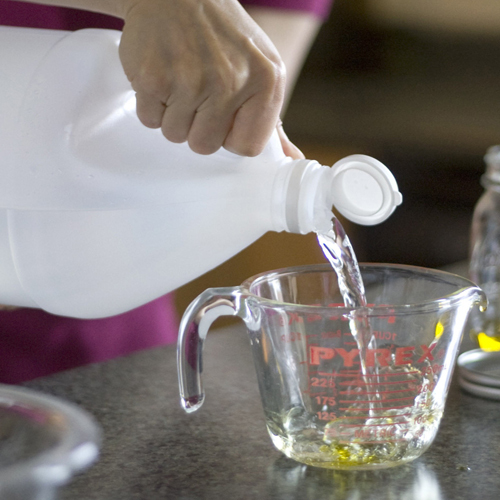 1 Cup of white vinegar to 4 cups of clean water. Put it in a bucket. Let the vinegar dissolve any build up. Go back to step on and after 20 mins or so take the brush to the pot again for one last try. If there is still build up soak for a bit longer and keep testing till you think you have the pot as clean as it's going to get. End off with a really good rinse. 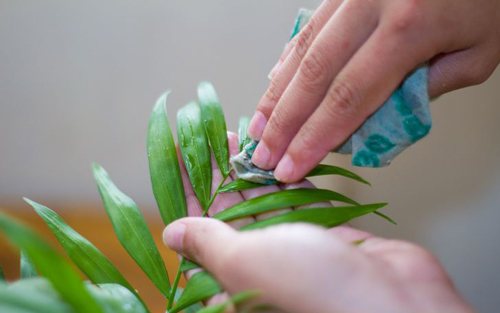 Make sure that all the vinegar or any soap you have used comes off before filling with fresh potting mix and fetching plants. Choosing the right plant for your pot. 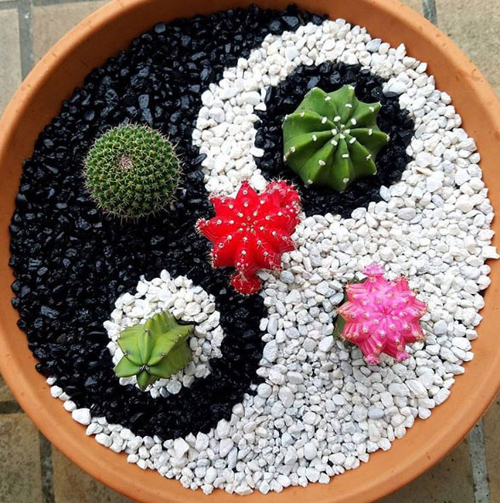 When choosing a plant to pot up a great tip to keep in mind is to select a plant that highlights the strength of the pot and creates a balance. Check how fast the plant grows. 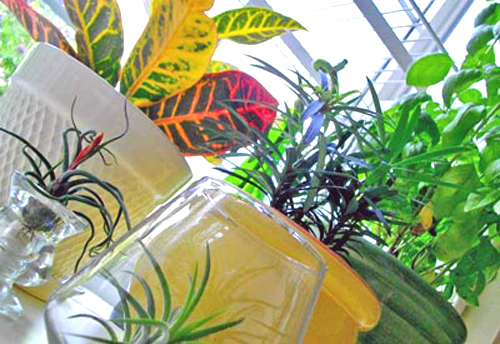 You don't want to put a fast growing plant in an undersized container. It will become root bound and needs to be re-potted within a year. You can continue to trim it but it will look like a small sock on a big food. Out of place! Check out the root system. Is it trailing or short and stubby. Make sure there is room to handle those roots without over crowding. Herbs tend to travel so make sure that you keep them in smallish containers and keep them trimmed that way they won't take over the whole yard but stay contained in the planter. Short on cash? How about using plants already around the yard. Bedding plants look good in containers. Know where you will put the planter once it's planted? Find plants that will like the amount of sunshine the pot will get. This is important because a shade loving plant will not like being potted and placed in an area where direct sunshine will hit it. 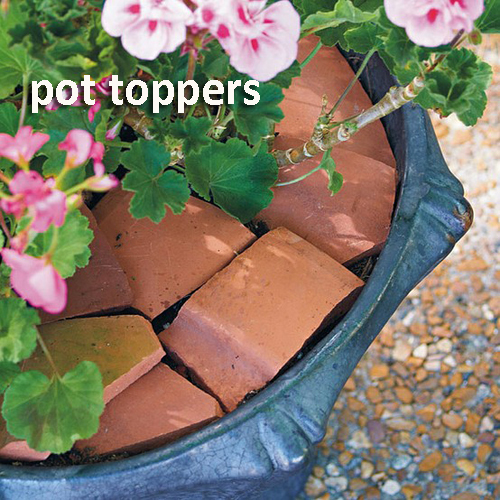 Try using ground cover from around the yard to pot. Forget-me-knots or campanula which tends to be invasive. Do you plants bloom in colors. Try limiting a container to one color for a unified look. If you are into a more eclectic look then pack all colors into one pot and have an explosion of color to view. Harmonizing plants? Well, it's pretty much up to you. 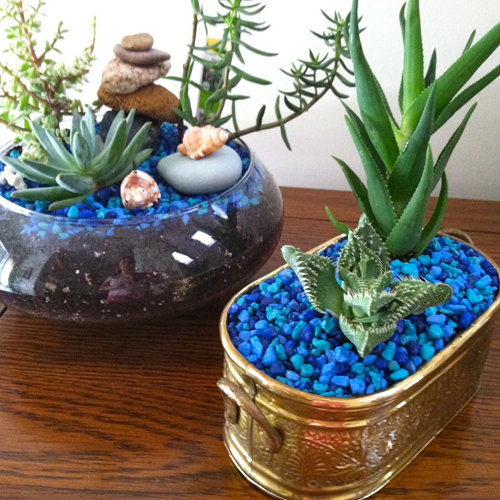 Do you really like one type of plants like succulents, cactus, flowering greens or all green and no flowers? 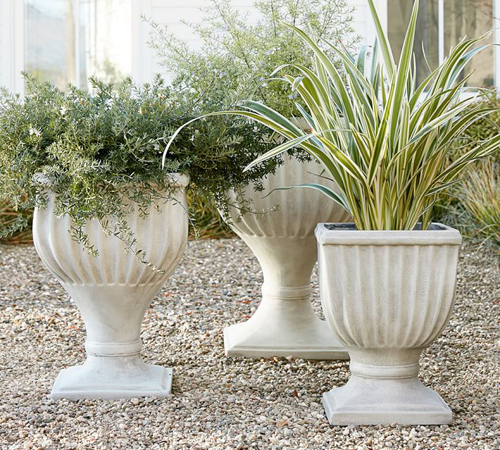 The more complimentary the planters look the more natural the grouping will appear. 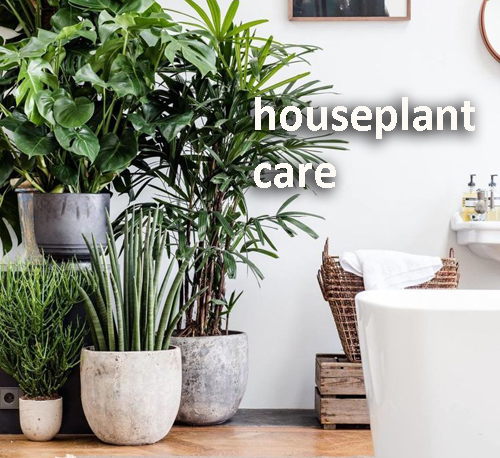 Listed below are a few types of houseplants that can do double duty by coming indoors for Winter and moving outdoors for Summer. 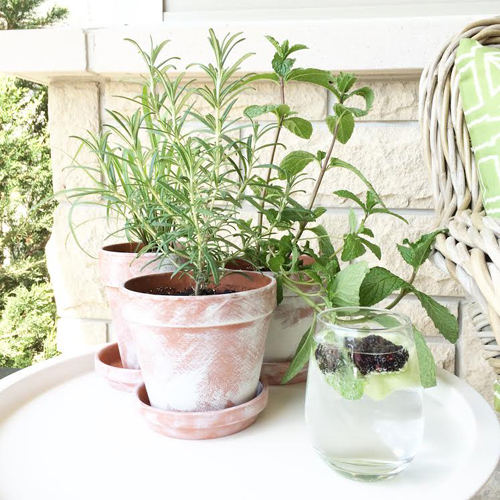 We fondly refer to them as Indoor-Outdoor Plants! 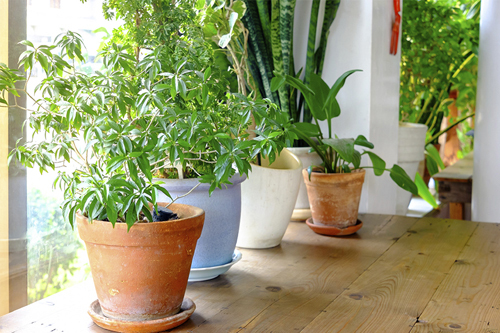 These double duty potted plants add a lively touch to your indoors during the Winter months. 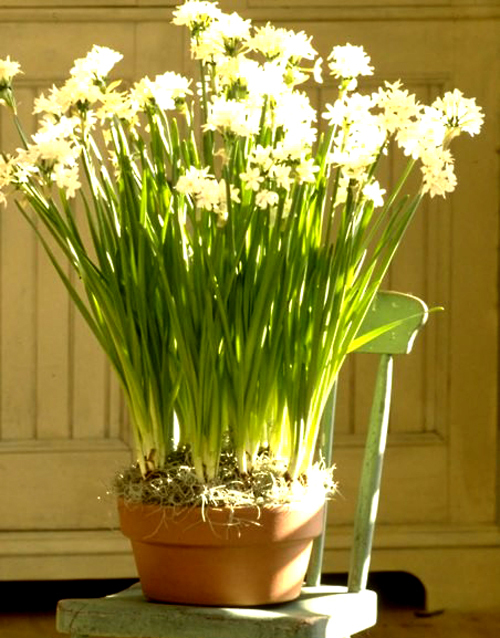 Bring them in and place in a sunny window and they will add a green, pleasing touch to your interior decor. When summer rolls around it's time to move them outdoors. This will encourage new growth and help keep the plants healthy and happy. 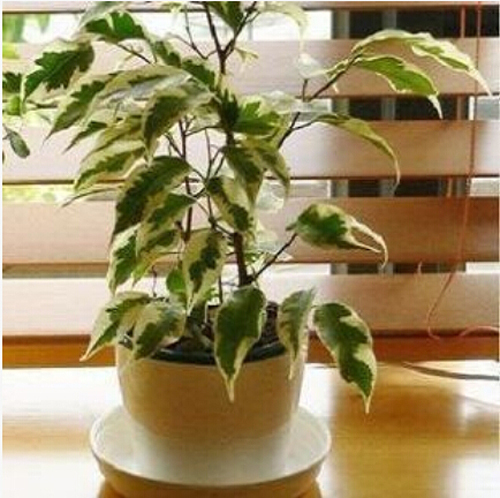 Listed below are the plants that will do best in this type of dual environment and they are diverse in color and styles. A few points to remember is to take care when watering. Once outside the soil tends to dry out faster so you will need to water more. 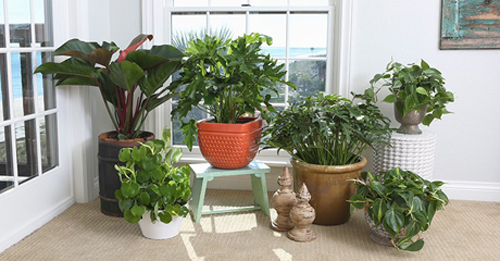 Once you move the potted plants back indoors be sure to wash each plants leaves to remove pests. Ficus - They like large plant containers so there is plenty of room. 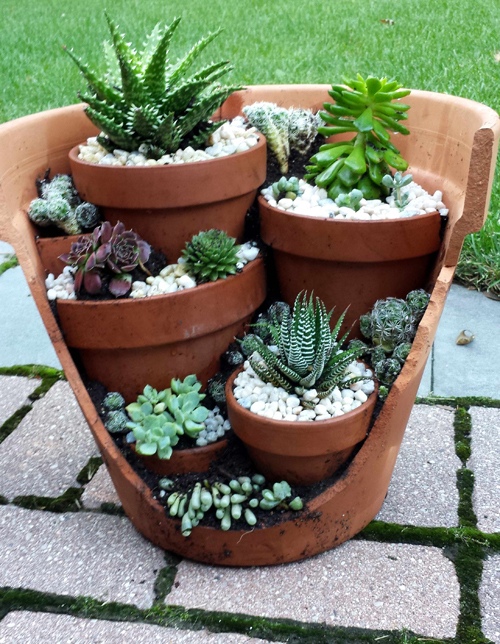 Use a good potting mix and let the soil dry out between watering. Fertilize in Summer. Sometimes they may drop their leaves from the shock of moving but they should come back in a few weeks time once stable. Palms - When potted these plants are fetching with graceful fronds and long branches. 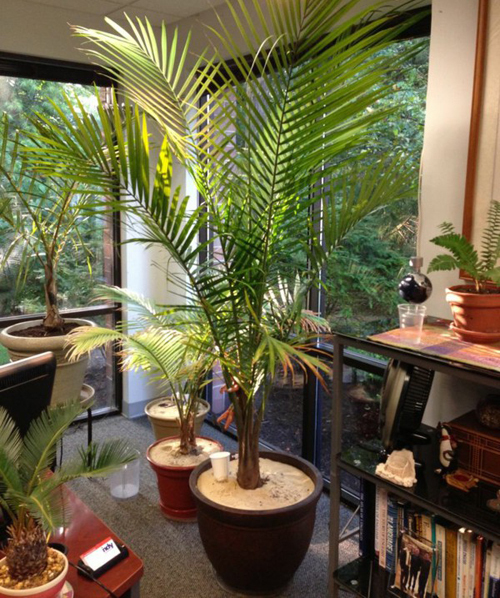 Young palms do best indoors to start, and when more mature they can tolerate being outdoors during warmer weather. 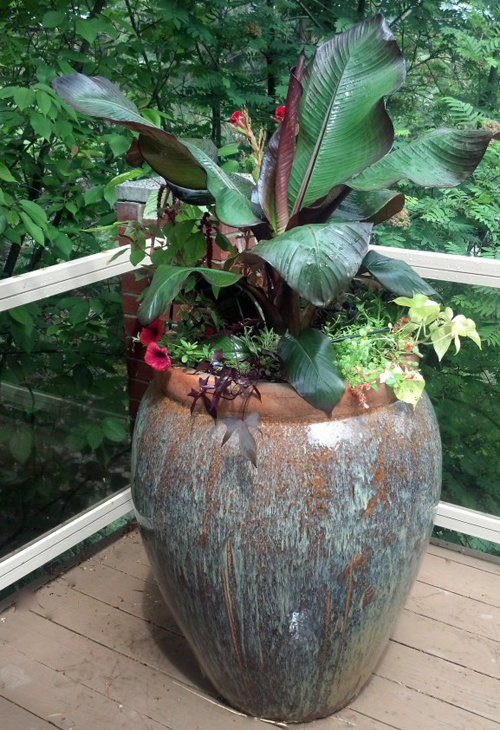 Use a large pot or planter since they tend to take up space. Lightweight potting soil is best. 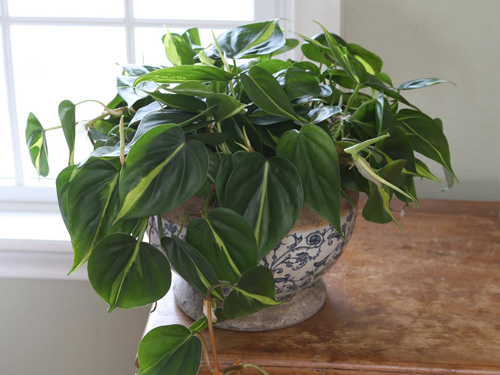 Philodendron - The office potted plant of champions. Don't you see these everywhere? Well they are tough and have nice big heart shaped leaves that are awesome. Plant in a large planter to make sure they have room to grow. Bring indoors in Autumn. It likes the warm house and bright indirect light. 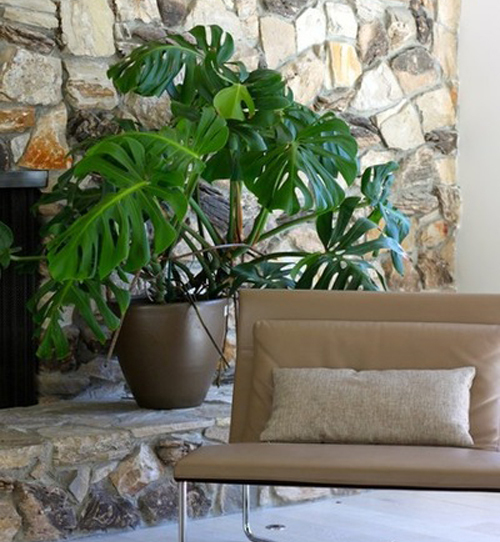 When outdoors potted philodendron like a sheltered location from wind and direct sunlight. Well we hope this entry gave you something to think about. 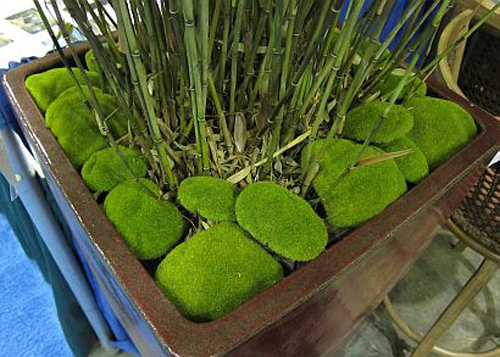 Why not decorate indoors and outdoors using the same plants and garden planters. It saves money & time! Who Wants Spring In Winter? We do! Are you tired of Winters harsh weather yet? Better not be because it just started. We have many more months of dreaming about our potted flowers & patio planters before they can come to life. 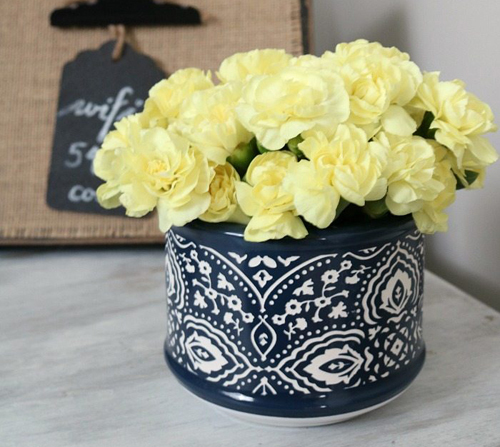 So, in the mean time we have a quick & easy project that will bring a touch of Spring indoors. 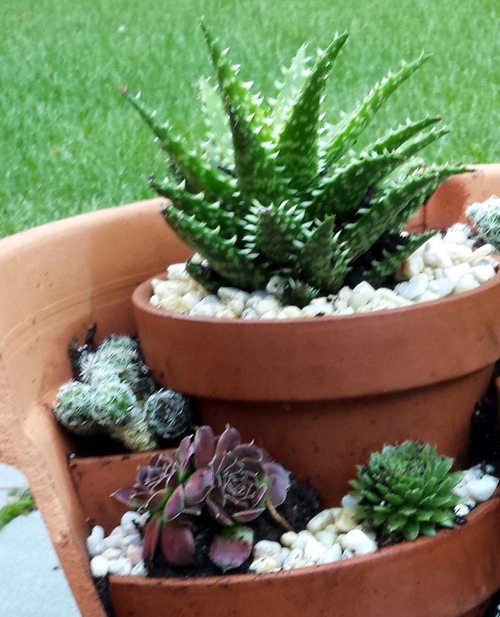 Get a few terracotta garden planters. Of course we love our because they are not only available in many sizes but the clay is a stunning product that imports to us from Italy. Select a few sizes that will work great for planting indoor herbs. The look of one size of pot all lined up in the kitchen window is also very popular and pleasing! Make sure the pots are clean and dry before painting. Coat each pot with white paint and let dry completely. Then using grit paper rub the areas on the pottery where you want the terracotta to show through. This gives the pots the distressed look we are going for. 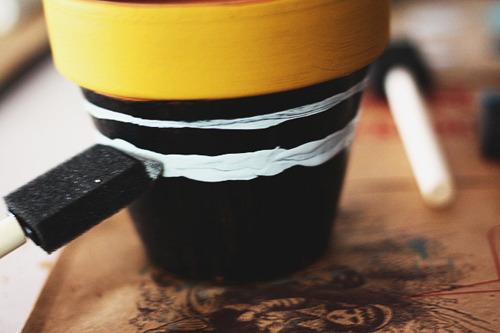 Rub the lips, the sides and around the base to create an interesting pot. Now fill with potting soil and herbs purchased at your local nursery or garden center. Not only are these lovely but they smell so nice. 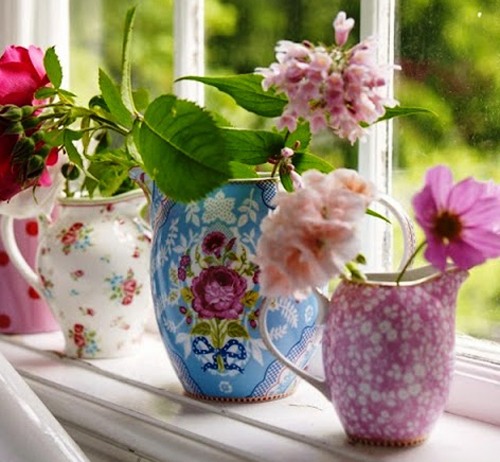 Now you have your own European Distressed looking flowerpots but you have added a touch of Spring to your indoors. You may have read the blog title and thought what are they talking about? Who can grow flowers in the dead of Winter? Well, have you ever heard of "forcing bulbs"? It's the process of forcing potted garden bulbs to bloom earlier than they normally world. By following the few steps listed below you can have colorful fresh flowers blooming indoors, on your patio, or a porch area. It's fairly easy to do and we can almost guarantee great success. Just think, sweet smelling flowers in January! Step 1 - Select the containers you are going to use. 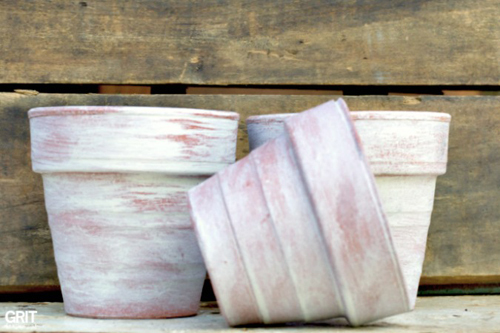 There are many choices of garden pottery you can choose. 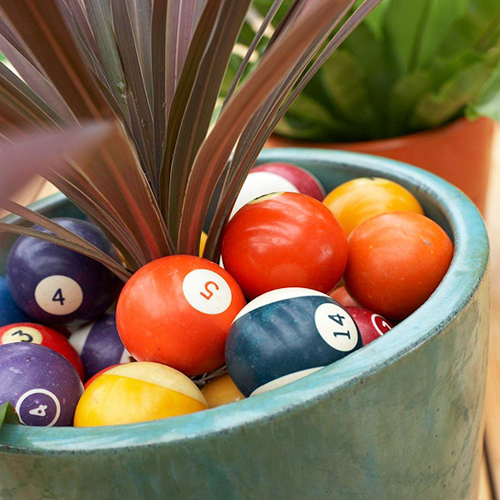 A shallow terracotta bowl is perfect since bulbs don't have deep roots. You can also use a standard flowerpot that does have depth. This type of pottery is perfect if you want to layer your bulbs. You may ask yourself, why layer bulbs? This is the method of putting a layer of the tallest bulbs on the bottom of the pot because they will grow the tallest. Covering them with soil and creating a second layer. Put Daffodils next, cover with soil and create another layer for shortest crocus bulbs. If you stagger each layer, they will bloom at different times so you will have flowers blooming longer instead of all at once. 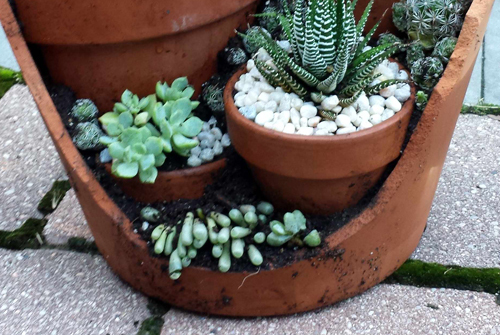 Back to containers - you can also use pretty much anything you choose except they must have the drain hole covered with broken pot shards or pot filler. This helps to keep the moisture inside. Next have potting soil that is well draining & your bulbs. 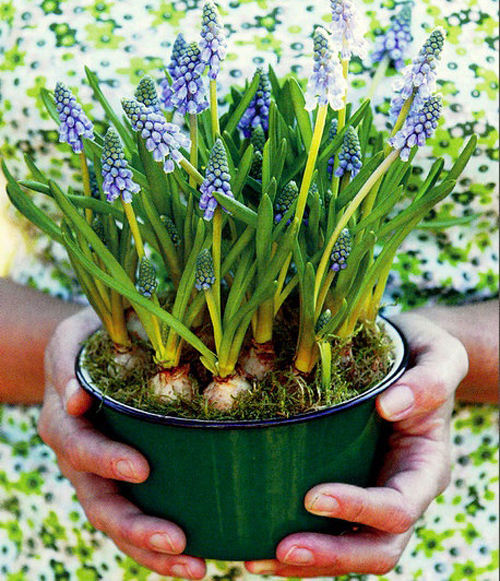 Plant the bulbs in the soil ending with soil on top so that all bulbs are protected from the cold. Now place the garden container in a cool, dark spot for 12 to 16 weeks. Make sure it's cool and never gets over 50 degrees. Under a staircase or on a spare closet are good places. Step 2 - Once you see good root formation, it's time to place them in a cooler spot in direct sunlight. 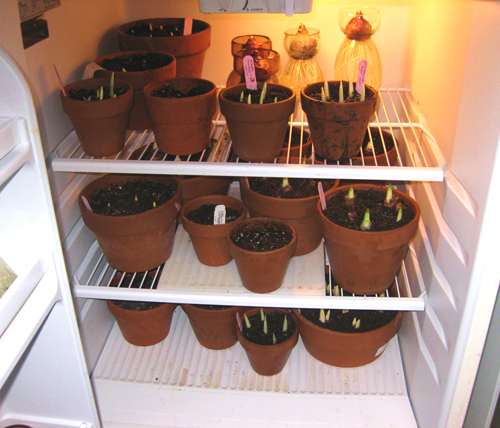 This lets the potted bulbs become accustomed to the warmth. Keep the soil moist. After they have good growth move to where you want to keep them. They should bloom in 3 to 4 weeks. 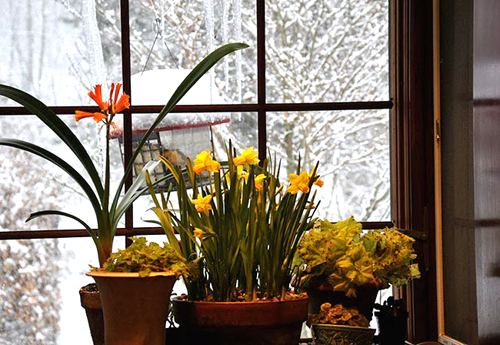 Enjoy the blooms through out Winters harsh months and let the fragrance fill your home. [Read More] Cool Weather Lettuce In Flowerpots. 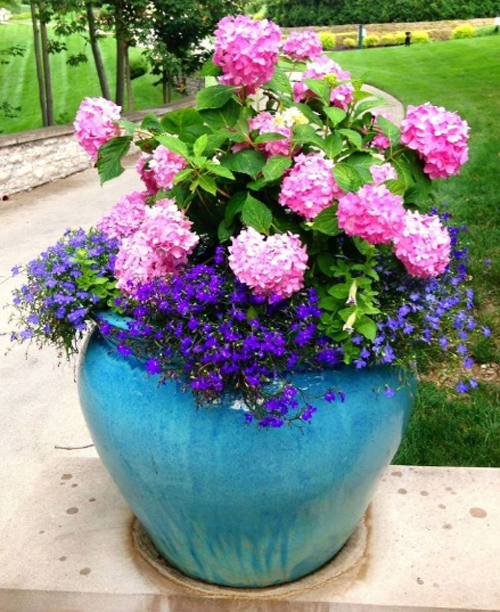 [Read More] Year Round Containers. Now that the holidays are over it usually means no more guests. Well for some of us that isn't the case. Maybe family that couldn't make it during the holidays can now plan a trip. How about unexpected guests? Here are a few simple ideas that can make a huge impact when it comes to making them feel extra welcomed. Fresh Flowers - sounds simple but it's easily forgotten. A bouquet of store purchased flowers not only smells wonderful but adds life & color to a guest room. We love the idea of a potted plant or blooming flowers on a dresser or bed side table. 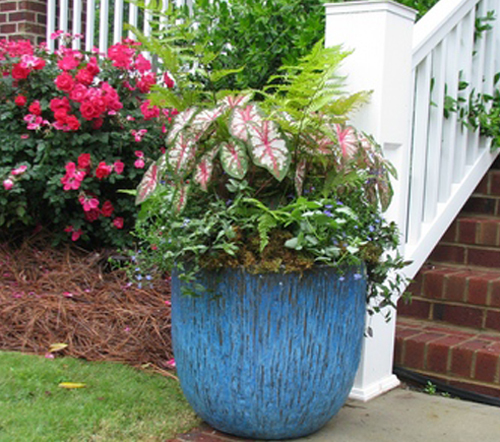 Purchase a plant from your local nursery and drop the plastic pot right into a decorative garden container. 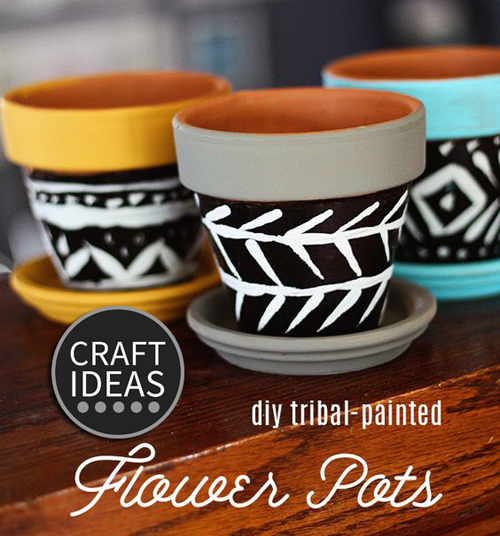 Prefer a more decorative pot? Use a tea pot, water pitcher, or tall glass. Wa La easy and lovely. Guest Items - Fill a empty flowerpot with mini sizes containers of shampoo, soap, liquid soap, close soap (for small messes) & a sewing kit. Leave a note that lets them know that it's ok to use any items they wish. 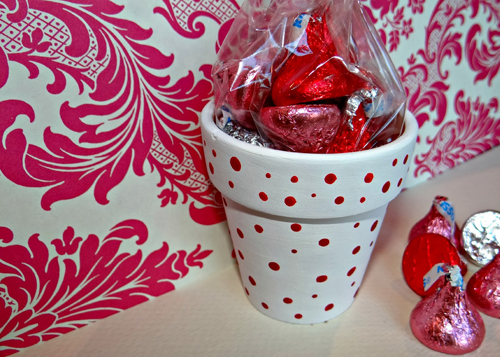 Use a small ceramic pot as a candy dish. Fill it full of individually wrapped chocolates or mints. Set on the dresser or side table so that your guest not only feel welcomed but they can enjoy a sweet reminder from you anytime they wish. Lastly, make sure there is an extra blanket available so that your guests don't have to ask if they get cold. In the summer maybe place a water bottle next to the bed or a spray water bottle to help keep them cool during their visit. The point is to think of your guests needs before they even know they need anything. Be welcoming and loving and you will be remembered as the perfect hostess! So simple! 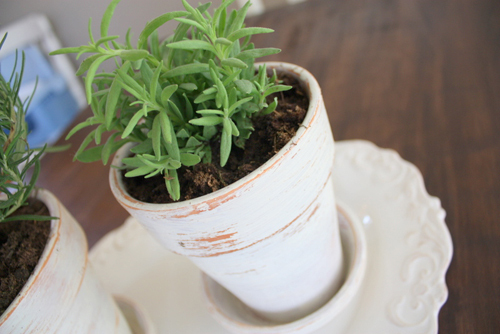 [Read More] Houseplant Pottery Tips! [Read More] 12 Potted Plants To Help You Sleep.